A exibição do primeiro episódio está prevista para o dia 28 de Março, na véspera de Sexta-Feira Santa. A Bíblia, produzida por Mark Burnett – produtor executivo do reality showSurvivor – e pela actriz Roma Downey para o Canal História norte-americano, tornou-se na sua estreia um dos programas mais vistos na televisão por subscrição nos Estados Unidos: mais de 13,1 milhões de espectadores assistiram ao primeiro episódio da série. A SIC anunciou nesta terça-feira a aquisição dos direitos de exibição da minissérie, que incluirá na sua programação especial de Páscoa. Encenando vários acontecimentos relatados no Antigo e no Novo Testamento, “desde o Genesis à Revelação” – nas palavras de Burnett ao Christian Post –A Bíblia é uma minissérie com um total de dez horas de duração. Diogo Morgado interpreta o papel de Jesus Cristo, no seu segundo papel bíblico – integrou o elenco da longa-metragem Mary, Mother of Christ, do norte-americano James Foley, realizador de filmes como À Queima-Roupa e O Sucesso a Qualquer Preço. For Roma Downey, casting just the right actor to play the Son of God in the The Bibletested even her usually strong faith. "We actually were only six weeks away from beginning principal photography and we still had not cast the role of Jesus," Downey tells PEOPLE of producing the hit History channel miniseries. "To say that we were anxious is an understatement." In desperation, Downey sent out an email to friends with the subject line "Looking for Jesus." "The prayer circle went out and the prayer was answered," the former Touched by an Angelstar says of a friend suggesting Diogo Morgado for the role. Get more stories on your favorite celebrities by subscribing now. After watching Morgado's taped audition, Downey was eager to schedule a meeting but was worried meeting in person would prove difficult for the Portugal-based actor. "I was a little disheartened and didn't know logistically how I was going to make that work," says Downey, who also plays Mother Mary in the series. "I spoke to his agent and he said, 'Actually, he's traveling and in Los Angeles.' I said, 'Hallelujah.' "
In less than 24 hours Morgado, 33, was walking down the garden path of Downey's home to meet with her and her husband, producer Mark Burnett. "I grabbed Mark and we peeked out the window to see him approach," Downey says. "I turned to my husband and said, 'There he is. That's our Jesus.' "
The Portuguese television actor will be featured in the second half of the 10-part miniseries, which airs every Sunday through Easter (see a preview of this Sunday's show below). And Downey is confident the actor will make a major impact on viewers. "I think he will define this role for generations," she says of Morgado. "He's just a beautiful actor inside and out. This is going to make him a big star." The History Channel drew over 13 million viewers on the first 2 hours of "The Bible" series. The epic production of husband-and-wife team Roma Downey and Mark Burnett is being lauded for cinematography and special CGI effects. But some critics are pointing out revisionism as a potential problem. Meanwhile, Jesus Christ (Diogo Morgado) won't be front and center until the third week. Downey (Touched by an Angel lead actress) and Burnett (Survivor, The Voice producer) spent $22 million in producing "The Bible" epic miniseries. The couple expressed satisfaction over History Channel viewers' reaction to the first installment of the 5-part, 10-hr presentation. Incidentally, Downey also plays Mother Mary in the story. Her character's son, Jesus Christ, is played by Portuguese TV star, Diogo Morgado. "We knew that we wanted somebody very special to play the role of Jesus. We wanted somebody that could be strong, yet gentle. And we found that in Portuguese actor Diogo Morgado" Downey told the U.S. entertainment TV show Extra. "He just comes off the screen. He's radiant. He's a big guy, he's a tough guy, but he's a loving guy." "This #1 series is a tribute to all those who have helped us to spread the Word. Ultimately THE BIBLE will be seen and felt by billions around the globe," the producer-couple wrote in a press release. "Today, more people are discussing God's chosen people-Moses and Abraham-in one day than ever before," they added. KABC sough for Morgado's reaction on something Burnett said. The producer dished that Morgado couldn't remember filming some of the scenes of the finished presentation. "I guess when you're in the moment, you're not rationalizing and sometimes you don't pay attention to details so that's why a lot of this shooting was, I just have feelings of what it was, not the full picture. So that's, I think it could tell you something of how it was for me," Morgado said. 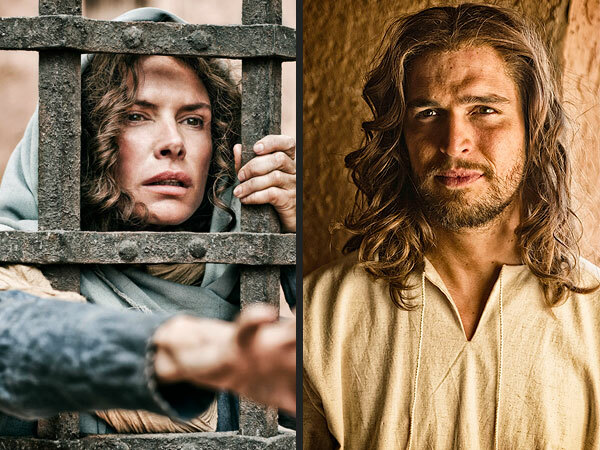 Portuguese actor Diogo Morgado says he "freaked out" when he found out he was cast as Jesus in the new The History Channel miniseries "The Bible," which was co-produced by Mark Burnett and Roma Downey. The five-part, 10-hour program premiered on March 3. Check out 9 questions answered by Diogo Morgado. 1. So when you heard that you got the project, how did you react? "Freaked out. How can you react? If the goal of an actor is to touch people's hearts with the best story ever -- Jesus Christ, the Bible? There's no better than this, right? 2. What's your favorite scene or what's your favorite aspect of the story? "My favorite scene -- I'm not going to be humble -- I loved this version of the last supper. I think it's because it's one of the highest points of the whole bible for me and this is coming out in a really different way. I've never seen this perspective of the last supper so I really feel, I'm almost sure that people will be blown away by this perspective of this scene. 3. So tell me all about the Bible -- it seems like such a large undertaking for a man who's very famous in Portugal and Spain and Brazil to come to the United States and star in 'The Bible' miniseries. "It sounds like, big, right? Let's talk about the Bible itself. The Bible is just not a random book or a small book. It's not a novel. It's the most read book and the most important book of mankind, right? And I think Jesus is kind of the central figure, so yes, it is a big responsibility, that's for sure." "And on top of that, I grew up in Portugal, a really Christian country, so I was familiar with the Bible. I was familiar with Jesus Christ and his message and so yes, as soon as I knew that I got the role, I freaked out and I immediately started reading everything that I could. And I stopped and realized that it wouldn't help me. It's more of a personal, this story is more of a personal journey than anything else." 4. It seems like such an epic challenge. How do you take on playing Jesus? What did you do? "I guess you don't do much. You just let it go and truly be in the moment. I think when you are surrounded with the right energy, you just need to believe and let it go." 5. And Mark actually said he had spoken with you after the filming, and said that there are scenes where you don't remember being in them. "I guess when you're in the moment, you're not rationalizing and sometimes you don't pay attention to details so that's why a lot of this shooting was, I just have feelings of what it was, not the full picture. So that's, I think it could tell you something of how it was for me." 6. Growing up on the Bible - did you have a favorite Biblical story? "When I was a young child, I loved David and Goliath but I think Moses is another obviously, apart from Jesus, which is kind of obviously, it's the best story, but I think Moses is also another courage and compelling story of someone that just gets something so big and leading people, I think it's engaging. It's beautiful." 7. Are you impressed by all the crazy CGI? "The good thing about the CGI is like, it's not like there it's not fake. It looks like really real and raw, which I think it's basically two words that could describe the visual part of this project. I think it's real. But not in a shocking way. It's just what it is. It could be almost like your friend or someone that can happen, I dunno obviously it would be like .. I don't know how to describe it -- It's just real." 8. You're a pretty handsome dude. I'm just going to say it. But you look like Jesus in this miniseries. You do not look like Diogo. Were you surprised at how you transformed once you saw yourself in the miniseries? "I guess I didn't think about that when I saw it. I was just comfortable with what it was coming out on the screen. I didn't recognize myself at all but that was good. But it felt truth and honest what I was doing so it felt good and I hope people will feel that too." 9. And how was it working with Roma Downey and Mark Burnett? They're husband and wife working on this epic, epic project. "It's awesome. Te first time I met them, I fell in love with them. There's no way you can't be affected by their passion and the commitment. So I was on board the first second. I was like, 'Well I want to be around you guys.' And I didn't know who they were because I don't live there. I was just like, okay there's this wonderful couple sharing their passion project with me." Reporting by Chi-Lan Lieu, correspondent for KABC Television's entertainment show "On The Red Carpet" (check for local TV listings). On Sunday, March 3, The Bible debuts on The History Channel. Produced by Roma Downey (Touched by an Angel) and her husband, Mark Burnett (producer of Survivor, The Voice, Are You Smarter Than a Fifth Grader and Shark Tank), this epic 10-hour, series will appear on five consecutive Sundays. Filmed in the desert of Morocco over a period of three years, the series comprises vignettes of biblical stories beginning with Genesis and continuing through Revelation. Stories include Adam and Eve, Noah’s Ark, Abraham, The Parting of the Red Sea, The Ten Commandments, Samson and Delilah, Daniel and the Lion’s Den, the Birth of Jesus, John the Baptist, the Temptation in the Desert, Feeding the Multitude, Peter Walking on the Water, the Trial of Jesus, and the Conversion of Paul. Popular Portuguese actor Diogo Morgado portrays Jesus Christ in the series. He recently spoke about being the central character in a project he feels is going to touch with world. Paula K. Parker: Jesus is not a typical role for an actor; how did you prepare? Diogo Morgado: I did not face this as a character; I think that’s the main thing. Jesus is definitely not a character for millions of people. There is no actor who can face it as a character. 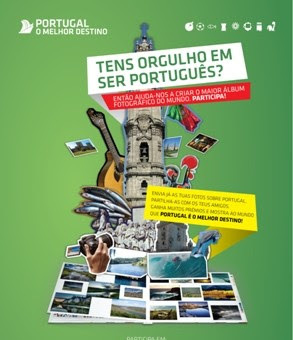 For me, I grew up in Portugal, which is a very religious country. Knowing the Bible. Knowing Jesus Christ and living by that. Having the opportunity to tell and share and touch people’s hearts with the most wonderful story every; I think it’s something to be grateful for and I am. My first approach was to go to the Bible. I started reading the Bible and reading everything that I could and seeing all the biblical projects that have been made. Then I stopped; because I realized that there is no acting school or acting skill that could help me with this task of portraying Jesus Christ. It’s more about your energy and your spirit than it is something you can rationalize about. For me, it was a journey; it was something unique. PKP: What was the hardest moment? Morgado: Obviously, there were a lot of moments of suffering. Seeing Mother Mary suffering with what was happening to her son is something I will keep as a memory of that experience. Being alone on that cross was another one. There was a moment when all my life flashed right in front of my eyes; to think that everything I’ve done was leading to that moment. That’s really overwhelming. I felt alone and, at the same time, I felt connected with the world; I felt that I was doing what I was supposed to be doing. To think that, even a fraction of what I was experiencing, had really happened to Jesus. For me, it was life-changing. PKP: Where there enjoyable moments? Morgado: Sure. You will see that this project has a different perspective and approach of what we already know of the story. I think it’s going to surprise people that this Jesus not only cares and touches people, but he has fun and laughs. That is not something I am used to seeing on biblical projects. It was thrilling; it was happy and fun to hang around with the twelve disciples. To have this feeling that we’re doing something that is going to touch the world and give people hope. PKP: Do you have any last words? Morgado: I hope people will share this experience and not look at it as just another series. We’re talking about the most important book of mankind, one that shaped the world as we know it. I would love to see people joining as a family and sharing this project and this wonderful story. Because it’s ultimately about love and family. Jesus and Pilate from Brad Lomenick on Vimeo.